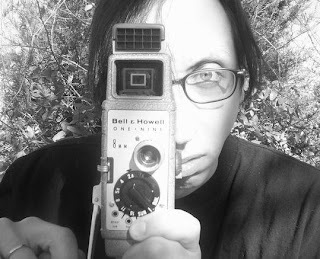 Oxford Film Festival Take 5 With...: Take 5 with "The Collectors"
Take 5 with "The Collectors"
Daniel Lee, a prolific filmmaker from Tupelo, returns again to Oxford with a new short film, "The Collectors." The film plays Saturday, Feb. 6 at 5 p.m. with Mississippi Narrative Shorts Block #2. DL: THE BEST MOVIE OF ALL TIME! This ten words? DL: I gained some steadicam experience, and had the challenge of figuring out how to get the footage off the tape after my camera's data port broke. I think the only real lesson is that its my friends and supporters who make my movies possible. They generously donate their time and talent and I can't thank them enough. The best part in getting it made is seeing the reactions of people who see it. It seems to be very polarizing: people either strongly like it or strongly dislike it. DL: A couple times when I was a kid, my mother let me shoot footage on the family Super 8 camera. (I'm giving away my age here.) It was rare for her to do that because unlike videotape, once you shot film - it was shot! Later on, my grandparents bought a zenith vhs camcorder that had a cool Animation mode that would only shoot a couple frames. I would stop-motion animate my GI Joes, then dub the character voices over them (it had a dubbing feature too.) That was my first experience with blocking, framing, directing, cinematography. I recorded and performed music for many years as an adult before seriously attempting film/video. Editing audio translates pretty well to editing video and it was a natural and organic transition. Really, if you took away all my filmmaking equipment and instruments and left me with nothing but Crayolas, I'd probably scan drawings of stick figures and make animations with them. To quote Lennon: "I'm an artist. You give me a tuba, I'll bring you something out of it." DL: I believe there are a plethora of streaming video websites out there. With YouTube, Google Video, Ustream, Vimeo...etc.... Who needs conventional distribution? The distribution model is flat-out dead. People just haven't realized it yet. I would like as many people as possible to see my work by any means necessary. Please pirate my movies! DL: With any luck, the film will be a catalyst in some small way to the inevitable apocalypse. I mean let's just get this whole human race thing over with already! If there's anything I've learned, it's that you can't possibly ever predict what's going to happen to you in the future. It's full of surprises, and that curiosity is probably the only motivation I have to keep living. The only two things that I CAN say with any certainty the future holds for me personally is death and taxes.